Twilight sunset photograph taken from le Rocher in Monaco-Ville, next to the Saint Nicholas Cathedral and overlooking the port of Fontvieille. 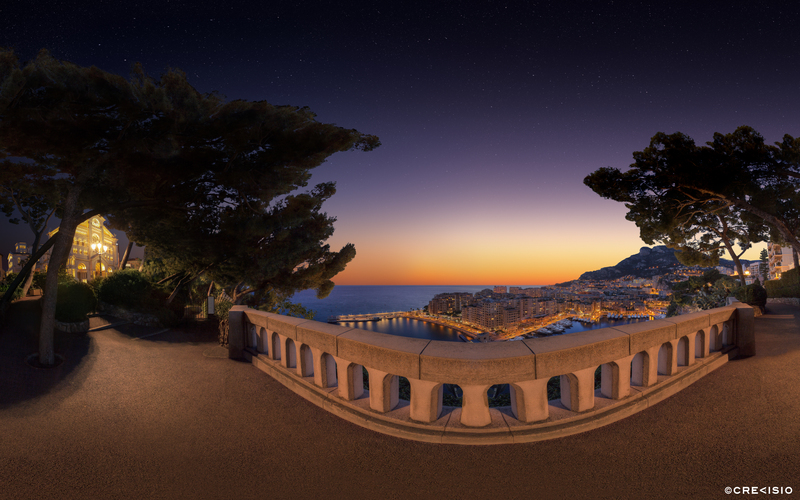 This 141 megapixel ultra high resolution panorama shows the beautiful view from one of Monacos most famous panoramic viewpoints, attracting hundreds of visitors each year to overlook the district of Fontvieille with its own port and super yachts. Download the free high resolution version for personal use by clicking the image above, or the link below. For commercial use, please contact Crevisio directly.